Beto O'Rourke, the Democratic nominee for U.S. Senate, announced Monday he will start airing TV ads in his race against Republican incumbent Ted Cruz. Beto O'Rourke, the Democratic nominee for U.S. Senate, is set to start airing TV ads in his race against Republican incumbent Ted Cruz. O'Rourke's campaign told supporters Monday that it has placed a "$1.27 million media buy" and voters will start seeing "positive TV ads" in 20 Texas markets this week. The dollar amount represents how much O'Rourke, an El Paso congressman, raised two weekends ago in response to Cruz's first round of TV ads, three of which targeted the challenger. 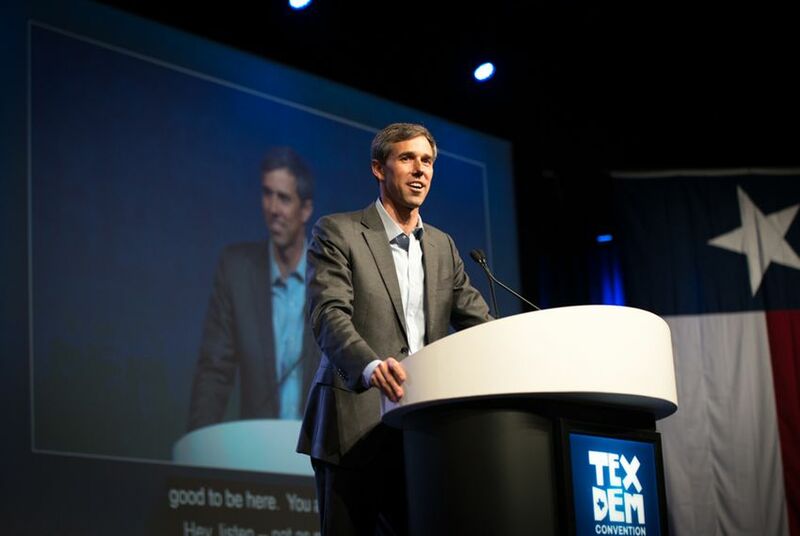 "Texans in all 254 counties of our state are proving that together, we will be the big, bold, confident answer to the small, petty, negative attacks that are coming our way," O'Rourke said in a statement. Whether O'Rourke would air TV ads in the race — and if so, how extensively — has been something of an open question for months. He has expressed ambivalence about the effectiveness of TV ads nowadays and talked about investing heavily in a field operation instead. In July, O'Rourke released his first ad, a minute-long montage of his travels across the state as livestreamed on Facebook. The spot has been appearing only online. O'Rourke's campaign did not immediately say what the content of the TV ads would be other than that they would be positive. Cruz’s first TV ads came out Aug. 3. O’Rourke’s campaign sought to counter them with a $1 million fundraising drive over the following weekend and ended up exceeding the target by that Sunday night, raking in $1,274,528.